Abraham Lincoln has been and continues to be one of the most fascinating people in American history. He has inspired many writers and artists to depict his life and times. The same has been true for filmmakers in and out of Hollywood. Doing a simple Internet Movie Data Base (IMDB) search reveals 214 films and TV programs that list the 16th president as a character. Some of these films are well-known, such as Young Mr. Lincoln and Abe Lincoln in Illinois. But the first full length feature film about Lincoln is the 1924 silent movie, The Dramatic Life of Abraham Lincoln. Unlike Griffith’s Lincoln biopic, which has been criticized for its historical inaccuracy (for example, Griffith has Lincoln giving his second inaugural address at Ford’s Theater right before the assassination! 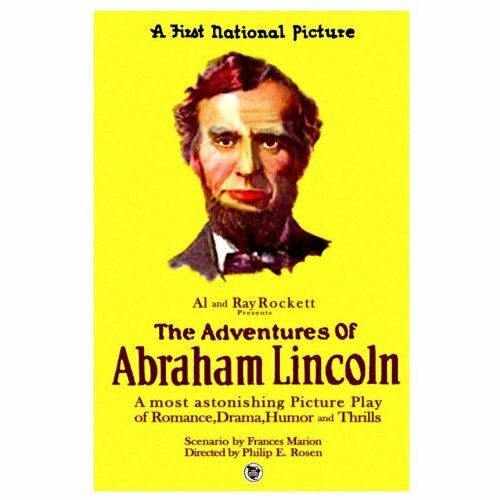 ), The Dramatic Life of Abraham Lincoln was praised for its accuracy, in part because the producers of the film, Al and Ray Rockett, did exhaustive research into Lincoln both by reading available secondary sources and by conducting their own interviews of those who were still alive and could remember Lincoln. Despite all of this research, the movie is not without its historical errors. Perhaps the biggest flaw has to do with the Gettysburg Address. When the Rocketts were doing research they interviewed 101-year-old former Senator Cornelius Cole, who told them that he had accompanied Lincoln to Gettysburg and that the president had made his famous speech without any notes. So the movie depicts Lincoln delivering the speech extemporaneously. This, of course, is not true: Lincoln carefully prepared his speeches, especially by the time he was president, and the Gettysburg Address was no exception. Furthermore, Senator Cole does not appear on John Hay’s list of people who traveled with Lincoln to Gettysburg. Historical accuracy is not the only issue that contributes to making a good Lincoln film. Probably the most important factor is the casting of Lincoln. In The Dramatic Life of Abraham Lincoln, the actor chosen to play Lincoln was George Billings, who was not a star by any stretch of the imagination. Most of his career was on the stage and The Dramatic Life of Abraham Lincoln was his most successful film role. This success, however, did not come without problems: Billings, like a number of actors before and after him, would become typecast as Lincoln. In fact, IMDB lists only five actor credits for him, four of them, including The Dramatic Life of Abraham Lincoln, are for playing the president. And it was not just on the silver screen that he would be typecast as the 16th president: he also portrayed Lincoln on stage. One of the plays he appeared in was a two-man show that toured the midwest in 1927. In that production, the only two characters were Lincoln and his secretary, John Hay. Billings, of course, played the role of Lincoln, but interestingly the role of Hay was given to a young actor by the name of Henry Fonda, who would go on to greater fame playing a young Lincoln twelve years later, in John Ford’s Young Mr. Lincoln.